We'll work with you to determine the right prototype method - SLA, SLS, FDM or others -- to achieve the best possible results for your program. We turn your 3D CAD file into fast-turnaround models. Our modular build process allows us to produce models in any size. From the model, we make RTV molds to produce the finest quality urethane parts in just days, with molded in colors, textures and threaded inserts. 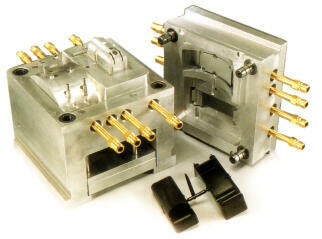 These parts can be used for actual product or as a bridge until production tooling and parts are ready. When a supplier for a major automatic manufacturer needed a prototype for an air intake hose in two weeks, they turned to us. 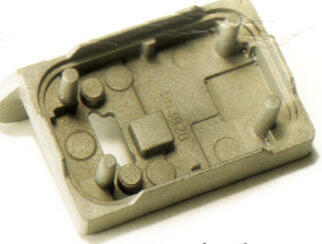 We use rapid prototyping to create a rigid part with a flexible over-mold on each end. The prototype worked so well that the manufacturer ordered additional prototype parts for further testing, eliminating the need for expensive pre-production metal tooling.